Demodectic, demodex, or “red mange” generally affects puppies but can get a foothold in an elderly or debilitated dog. Because some newer veterinarians still say demodex is hereditary, breeders don’t like to talk about red mange. Five decades ago, it was the worst thing someone could say about a kennel "Oh they have red mange in the line." No one says much about it today even though ironically, it’s more common now than ever! I surmise that is because the canine immune system is more challenged today! I am not a vet but I think common sense and clinical experiences goes a long way in figuring things out. You need to think about why red mange occurs in puppies because in most instances, it is entirely preventable. For fifty years we were led to believe “red mange” was hereditary. Vets blamed breeders and consequently, so did owners. In the sixties I was told that my Doberman pup had inherited mange. As a Dog World columnist, I had access to Norma Price, the editor, who was also a famed Dalmatian breeder. Norma was emphatic. Demodectic mange is NOT hereditary but even after irrefutable documentation, it took the veterinary profession another couple of decades to agree. Red mange put good Veterinarians between a rock and a hard place; duty to the patient and the cold necessity to make a profit so they can afford to keep doing what they genuinely love. One service they provide is vaccinations and today, puppy shots and boosters come way too early. The demodectic mite burrows into the hair root, causing it to fall out, leaving a tiny bald spot with reddened skin. The process repeats and spreads as the mites thrive. An advanced (neglected) case of demodex is shown here. There was said to be a hereditary component since red mange began on the muzzle and around the eyes. Seriously! Body specific targeted genes!? I disagreed back then, insisting the warm moist milk bar harbored some kind of germ and because the hair is thin around the eye rims and muzzle, mange mites would get a foothold there and then spread to feet and pasterns which also come in contact with the dam's moist underside. Diagnosis is confirmed by “scraping” the skin and looking at the loosened cells under a microscope. Demodex mange mites are easily identified under magnification. Just because the dog has reddened skin or itches does not mean it has “red mange.” While sarcoptic mange causes intense itching, demodex usually does not. It is the subsequent infection that causes irritation and the skin becomes reddened, thus "red" mange. There are many causes for skin eruptions. In adult dogs it is usually an allergic reaction to something in the environment or food. If the symptoms persist more than a few days, take the dog to the vet because healthy adults with a well developed, unimpaired immune system do not get demodectic mange. Puppies are most susceptible to demodectic mange for several reasons. 1) their immune system is not fully developed 2) weanlings are in constant with warm, moist environment 3) already challenged, the immune system is then overwhelmed with puppy shots. My personal belief is that mange can also be brought on my other forms of moisture such as the early morning dew to which puppies going through early housetraining are regularly exposed. You may remember my columns about “grass rash” which also explain why puppies often don’t show mange symptoms until they are old enough to go outside to play or potty. They already have the mange mites but the wet grass becomes a catalyst for bacterial development at a time when stress is at its peak. Demodectic mites have no affect on a healthy adult. Adults are spared weaning, wormings, shots, and the upheaval of Sibling Separation. Some breeds go through ear cropping which stresses to the immune system (mostly due to subsequent wrapping, itching, and irritation) and may break with demodectic mange after cropping. No, they didn't "catch it" at the veterinary clinic. So here's the deal. Puppies are challenged by a New Home, New Humans, and adjusting to strange dogs and situations. Pile on different food and water. Add Housebreaking, then puppy training. So many environmental changes take place in a relatively short time! Add the stress of teething and for giant breeds, growing! It makes one wonder how they survive at all! A wild carnivore contends with only a fraction of what cuddled, coddled puppies endure. The strength and resiliency of the domestic dog our utmost respect. So if you have a litter that breaks with demodex, take heart. A weak immune system can be hereditary but red mange is not. Talk to your veterinarian and trust him to take your pet from puppyhood to a long and healthy old age. Do however, question any kind of dipping for mange, demodectic or sarcoptic. 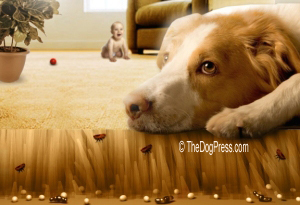 There are effective, safe alternative solutions that kill mange mites. 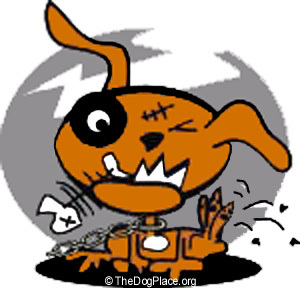 Ask your veterinarian if the mange dip about to be dispensed is SAFE for the puppy and safe for YOU? Most such dips contain the pesticide amitraz which is a potent poison! Because of potential liability, some vets insist on doing the weekly dipping themselves. Amitraz is a dangerous pesticide once commonly used for mange mites so before you do whole-body dipping for mange, ask your vet to explain the risks to you and to your already-challenged pet. 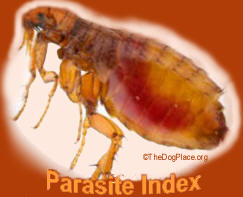 Still used in some flea sprays, tick dips that can caused brain damage! Here's how to get rid of fleas and ticks the safe, natural way. Contaminations need SOLUTIONS to minimize you and pet health risk.